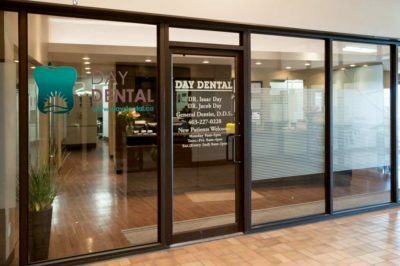 At Day Dental, our Innisfail Family Dentistry is provided by Dr. Isaac Day and Dr. Jacob Day and the Day Dental team; they are here to address the oral health needs of everyone in your family. Your oral health has been proven to be an important factor in your health wellness. At Day Dental, we firmly believe that every patient deserves personalized care with the goal to create a lifetime of beautiful, healthy smiles! Below are some FAQs to help you learn more about Day Dental. A) Yes — We Love Our New Patients! Day Dental is accepting new dental patients without the need for a referral, and we look forward to the privilege of being your Innisfail Dental Health provider. Our dental team is dedicated to providing you and your entire family with quality dental care. Q) Are Families Always Welcome at Day Dental? A) Yes! Day Dental offers Innisfail Family Dentistry to provide you and your entire family with the care and education they need for a lifetime of healthy smiles. A) Day Dental provides Innisfail Family dentistry services such as routine cleanings, examinations and fluoride treatments. Regular dental appointments can identify problems early before they become more serious. 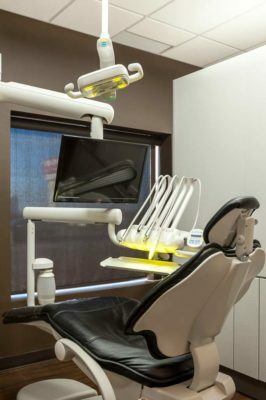 In addition to our comprehensive dental examination, we use digital x-rays of the teeth and surrounding bone to diagnose cavities and any underlying concerns that could be developing beyond the naked eye. Q) What Types of Dental Services are Offered at Day Dental? A) Dental insurance benefits are used to help our patients cover some or all of the cost associated with their dental care. At Day Dental, we offer the convenience of direct billing to your insurance. Not all dental insurance plans are the same which makes it important for you to understand your specific plan details before your appointment with us. Most dental plans cover some, but not all of the cost of your dental care. The dental fees billed at Day Dental for our services are the usual and customary fees charged to all our patients, whether you have dental insurance or not. Your particular policy may cover treatments and services at a fixed fee schedule, which typically does not coincide with our usual fees. In these cases, here the difference in fees not covered by your insurance company becomes your responsibility to pay and will be invoiced to you once we receive payment from your dental plan. Q) What Should I Bring to My First Visit at Day Dental? Q) My teeth feel fine, do I still need to see the dentist? A) Yes. Most cavities do not cause pain. Usually if your teeth are hurting, then the small problem has turned into a big problem. Q) I’m pregnant/breastfeeding, should/can I see the dentist? A) Yes! On top of all the other demands and anticipation of being pregnant, keeping your mouth healthy can require more attention than before. Many dental problems flair up during pregnancy due to the changing hormones and stress involved. It is very important and safe to keep up with your cleanings, check-ups, and dental work while you are pregnant. And congratulations in advance on your new family member! Q) If I have braces, do I still need to see my dentist for checkups? A) Absolutely! In fact, when you have braces, it can be even harder to keep your teeth clean due to the added hardware in your mouth. This makes it more likely to develop cavities if checkups and cleanings are neglected at this time. If you have questions about the dental services offered at Day Dental or if you would like to schedule a new patient appointment, please contact our office today!